The FireStik KW Series 100 Watt Whip Antenna helps you get exceptional transmit/receive functions of your CB. This high performance loading coil antenna will also obtain the NOAA emergency weather and national weather broadcasts for radios with those features. 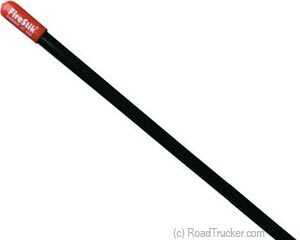 Original "Cut-to-Tune" FireStik "KW" Series 40 Channel Plus CB Antenna is a proven wire-wound CB antenna in the trucking industry since 1975. Compatible with RVs, trucks, autos, motorcycles and ATVs as a single or dual/co-phased antenna. Tuning the "KW" antenna is needed after installing it on the vehicle. The loading coil on all "KW" antennas is easily accessible for precise SWR adjustments.